Good morning! Today Peter is exploring Investing In Commercial Properties, let me know if you would like to guest post on Make Money Your Way. The real estate investors have every reason to cheer! The market is looking up. Population growth has made it more profitable to invest in real estate business. The experienced investors are well aware of the market condition and vital aspects of property business. The novices, however, need to educate themselves regarding different aspects before risking their money in real estate business. One key factor for successful real estate venture is cap rate. Unfortunately, it is often misunderstood by many investors. Before venturing out, cap rate is likely to be your first consideration. However, you can make a good use of it only if you have good understanding of what is meant by cap rate and how it can do value addition. Cap rate is a trimmed form of capitalization rate and calculated as a ratio of the first year’s net operating earnings and purchase price of the property. The ratio integrates three variables – interest rate percentage, net operating income and value and expressed as a percentage. Investment measure is an indication of what percentage of cash purchase an investor is likely to gain in the first year. The capitalization rate percentage and your net operating return in the first year are directly correlated with each other. An amazing correlation can be found in another aspect. If interest rate drops, the rate is less likely to follow the decline. However, if interest rate slides up, the rate will soon to follow the footprint. What is the significance of cap rate? This question is more related to the application of cap rate. The investors use this rate to quickly calculate the return from an investment. This helps them decide whether a real estate property is worth a consideration. You can also apply cap rate to typify the marketed assets. For example, if you know the sale price and cap rate, it will take only a few minutes to determine your estimated net operating income. Is there any shortcoming of cap rate approach? There is no doubt that cap rate is important but only if it is accurate. You should know the pitfalls of cap rate approach. Many unscrupulous property market dealers overrate it to exaggerate the investment potentials. In some cases, wrong net operating income assessment is the reason for faulty cap rate calculation. The wrong calculation and inflated figure make it more unlikely for you to discern the actual investment potential. To be a successful investor in real estate property business, you need to understand that cap rate, in spite of its high significance, does not reveal other details that are equally or more important to measure investment potentials. It does not consider your debt, taxes and other transaction expenses. To be on safe side, you need to understand a target cap rate which is specific to your situation that involves your debts, taxes and cash return estimation. An accurate result can guide you in making safe investment that is immune to market trends. The advantage of owning a calculation procedure is your estimation regarding property valuation and net return calculation will be more closure to accuracy. Peter Christopher is the owner of Finance Care Guide, a personal finance blog about money management tips. 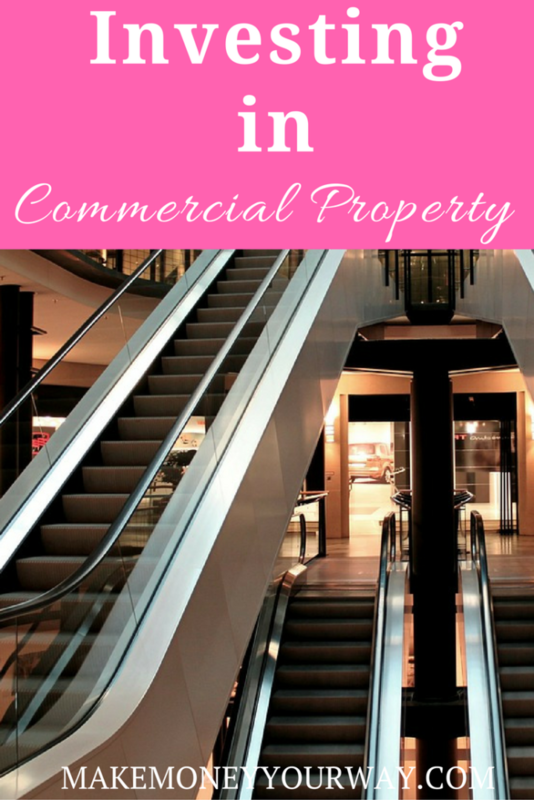 Have you invested in commercial property? Would you like to? This post was featured on the Common Cents Wealth, thank you! Commercial property has the advantage of less landlord responsibility – I’m not sure about the US, but in Australia commercial property is rented as an empty shell. It’s up to the tenant to fit out the space, even air-conditioning and lighting are the tenant’s responsibility. Anything goes wrong, the landlord isn’t responsible. By comparison, residential property is rented out with lighting, dishwashers, hot water services all the responsibility of the landlord. Additionally, its not uncommon to see a 5 or 10 year tenancy agreement on commercial property compared to an annual agreement for residential property. Securing a tenant for a decade at a time provides pretty solid security! 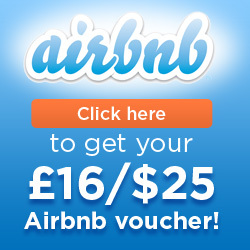 Unfortunately commercial property is too expensive for me – the barriers for entry are too high at the moment. I have never really looked into commercial property as an investment type, I guess when there are so many companies going bust I just never thought of it as a good investment, however I guess there could also be some great bargains around too. I can’t envision myself getting into the commercial property business, just because I know some people who got burned in the real estate collapse a few years back. At the same time, real estate both residential and commercial has had its ups and downs. If I had the money I would probably just invest in residential rental real estate. Commercial property is coming back in SF. They can’t stop building and places keep getting bought and leased like crazy. It’s exciting to see a lot of buzz in the city again. Interesting post – and its good that people can consider other investments apart from residential rentals, index funds etc. But is commercial property suitable for the average investor ? probably not.Potentially long empty periods, and difficulty selling property on would not be good for people without a large portfolio. I own half of the commercial building where my optometry practice is. It was a no brainer investment because I had to pay rent anyway, might as well pay myself. If you have a long term business as a tenant. I think commercial real estate is a great deal. Like Financial Independence said, you are only responsible for major things like the roof or furnace, not every little detail with a residential rental. I would also add that as a commercial landlord, you need to treat a good tenant like gold. My satellite office was always in a rental space because property values were so high in that area. We were in the same spot for 12 years and were model tenants. When I sold that business, the buyer wanted to stay, but the landlord was horrible to her so she bailed. He lost the best tenant he ever had because she has grown the business even more since then. I think since there were other vacant spaces in the building, he tried to stick some crazy expenses on her, which ended up giving him another vacant space. Kim@Eyesonthedollar recently posted…Happy Labor Day! Just like most evaluation metrics, the reliability of the cap rate is determined based on the quality and accuracy of the inputs/variables. Just a suggestion – perhaps some examples of cap rate application would be helpful to the readers? I haven’t considered commercial real estate since I’m still paying off my own real estate debt! But this is something to consider in the long run once I’m financially free!! Thank you all for your participation here. Hi Pauline, you’ve outlined some great points here in your post. Commercial property can be an amazing investment, so long as you know the risks involved. Understanding property management may be challenging but it is important to know these things to find success in the business. There are a lot of potential in this kind of investment. If I have much money, I will invest in commercial property. When I am rich enough, I will buy a piece of land. Build a big house with many rooms and let others rent them. Tony Nguyen recently posted…Get to know 9 home remedies for neuropathy that will help to calm your nerves effectively! your business and the way of solving the operational problems. so you find your generous overseas ‘boyfriend’ has deleted his account and run off with your cash. check out Ed Dale and digital publishing blueprint. to make finding more products and services easier for those who need to get in touch with those companies. And that is the substance of a multimillion-dollar business. that you might be so brilliant you forget to be kind. as though you relied onn tthe video to make your point. intelligence on just posting videos to your weblog when you could bee giving us something enlightening to read? and freedom iis thhe greatest wway to change, may you be rich and continue to guide other people. to ggo ahead and give you a shout out from Atascocita Texas! Just wantedd to say keep up the fantastic job! Do youu ind if I quote a couple of your posts as long as I provide credit and sources bacck to your webpage? visit this weblog on regular basis to obtain updated from most recent news. great post. You have mentioned really helpful points in this article. Worth reading.